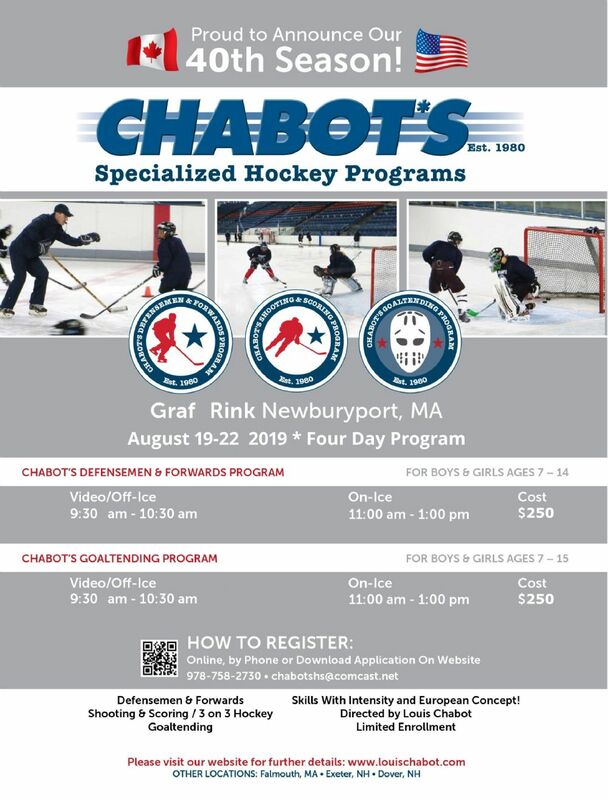 Chabot Hockey - August Hockey Camp at Graf Rink!! Coach Chabot has been working with AYHL for the past few years and puts on a terrific summer hockey camp. If your young athlete is looking for a nice summer hockey camp to get ready for the 2019-20 Hockey Season, please consider registering for Chabot's Hockey Camp.